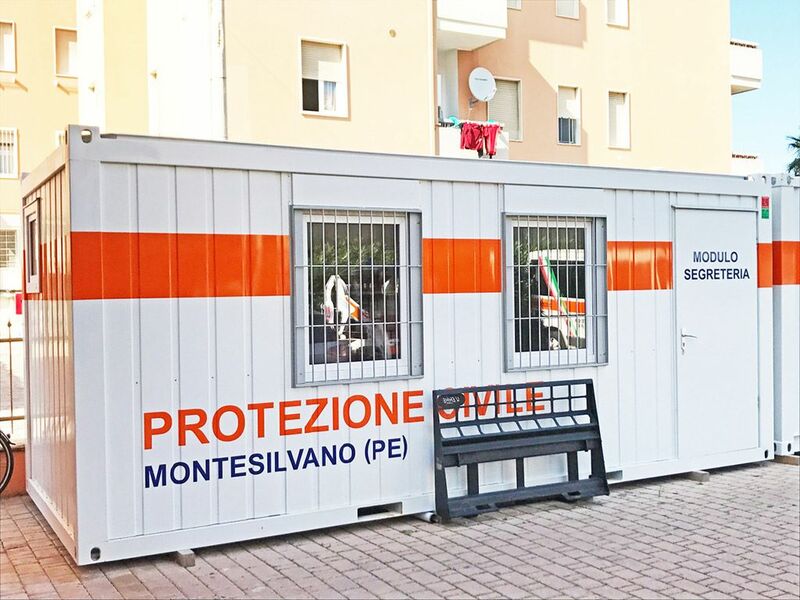 Several organisations are assigned to the Italian Civil Protection (Dipartimento Protezione Civile). 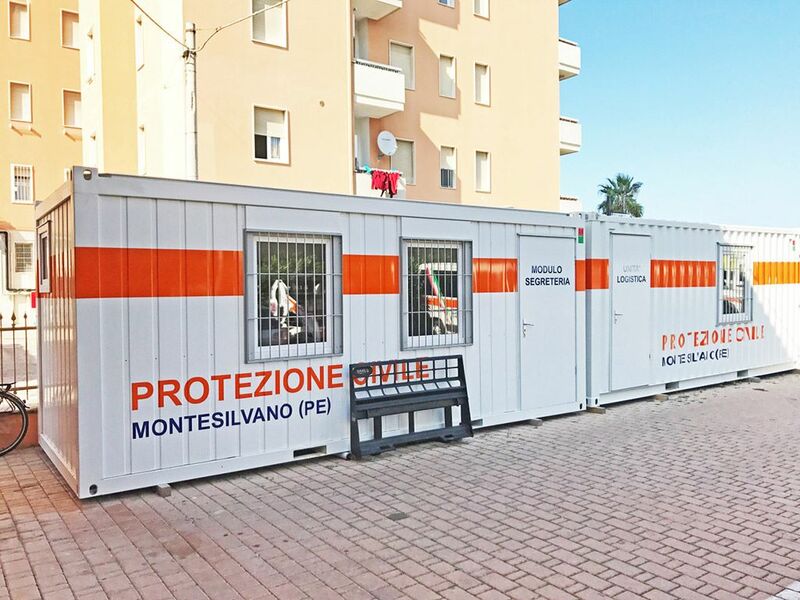 For the weather-independent and safe coordination of all measures, portable cabins and accommodation units with security fittings were chosen. Our storage containers are available for the storage of resources.